AMIkids Emerald Coast– $120,000 to fund a variety of behavioral modification programs and scholarships for secondary education. Boys & Girls Clubs of the Emerald Coast – $200,000 to allow 200 students from low income households to attend programming for one full year. Children in Crisis– $225,000 to fund the facilitation of housing for abused, neglected and abandoned children. Children’s Volunteer Health Network (CVHN) – $225,000 to fund and serve underinsured and uninsured children in need of dental care. Emerald Coast Autism Center – $200,000 to fund scholarships for approximately 12 families and the next phase of their capital campaign. Emerald Coast Children’s Advocacy Center – $225,000 to support mental health therapy, medical programs, and a case advocacy program. Food for Thought Outreach– $240,000 to provide nutritious meals for school-aged children on weekends, holidays and summer break. Habitat for Humanity of Walton County– $150,000 to fully fund the building of two new homes for families with children in Walton County. Mental Health Association of Okaloosa and Walton Counties – $150,000 to fund “The Brain Health Initiative” geared toward early identification, assessment and treatment for students ages 12 to 21 who experience mental health or substance abuse issues. Opportunity Place – $85,000 for immediate housing for homeless children and their families. Pathways for Change – $170,000 for comprehensive addiction treatment programs including men’s residential treatment and operations for the family center. Sacred Heart Hospital on the Emerald Coast – $225,000 to fund a 10-bed, Level II Neonatal Intensive Care Unit. Shelter House of Northwest Florida -$170,000 to fund support groups, counseling and advocacy for youth touched by domestic violence. The Arc of the Emerald Coast – $200,000 to support Early Intervention and Family Education Program at the Early Intervention Center for children living with disabilities. Youth Village – $100,000 to fund afterschool programming for low-income children along the Emerald Coast. Always looking forward, DCWAF will host the Harvest Wine and Food Festival November 2 – 5 in WaterColor. 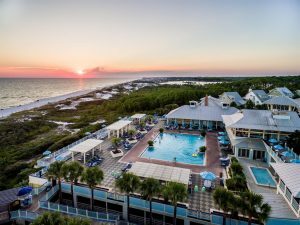 It promises to be one of the Southeast’s premier fall events and will provide patrons the opportunity to sip and savor some of the world’s finest wine and culinary selections while enjoying the beautiful beach town of Watercolor. The Grand Tasting on November 4, 2017 from 1:00 to 4:00 p.m. will be held in Cerulean Park and is the main event, designed to highlight harvest season at the beach. In addition to a wide variety of wines, some of the premier Gulf Coast restaurants are gearing up to showcase the best in coastal cuisine. Pitmasters from Panama City’s Back Beach Barbecue will be on-site serving up their famous 12-hour smoked meats and homemade sauces, while Brotula’s Seafood House & Steamer along with sister restaurants Jackacudas Seafood + Sushi and Cuvee Kitchen + Wine Bar are coming together to feature delicious seafood. The famed Restaurant Paradis, located in Rosemary Beach, will join forces with Destin favorite Cuvee Kitchen + Wine Bar to provide high-end cuisine in the VIP tent. Third generation bee keeper and owner of Honey Hutch, Amy Wright will be located at the farmer’s market section of the festival and will showcase her locally produced honey. Additional freshly-farmed fare from Destin Ice Market will be located alongside Honey Hutch at the festival. There will be a silent auction featuring a variety of rare wines, staycations and unique experiences as well as opportunity to purchase wine and other merchandise on-site. Ticket prices to Harvest Wine & Food Festival vary based upon event day and are on sale now online at www.HarvestWineandFood.com. 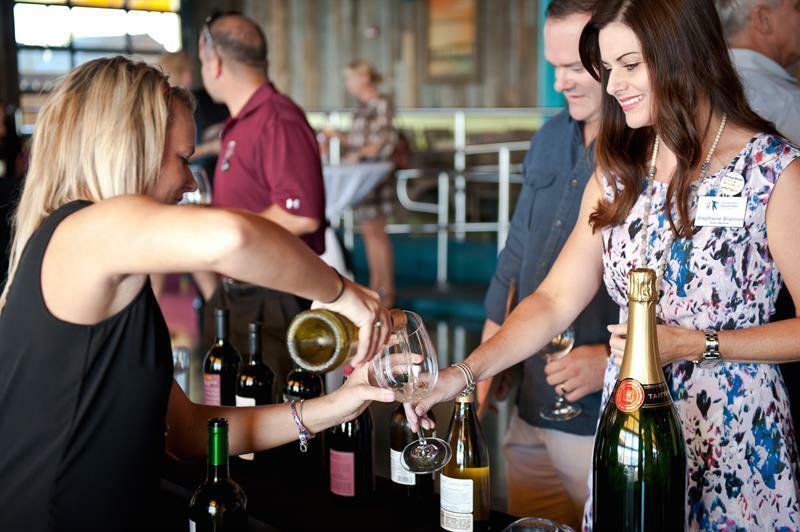 As a reminder, the dates for next year’s Destin Charity Wine Auction Weekend, the Foundation’s signature fundraising event, are set for April 27-29, 2018. Mark your calendars for these two upcoming events which combine fun and commitment to our community’s children. Now, that’s a winning combination!